All diets work. As long as they are adhered to most diets work just fine at losing weight. But let's clarify what weight really is first. Weight is simply the full mass of your body, which includes, water, muscle, bone, organs and finally fat--the real thing you want to lose. Now simply losing weight isn't going to cut it in most scenarios. We like to keep our muscle tissue around for a long time. We don't want to lose muscle mass at all, even though as we age we naturally lose a bit of muscle mass. Weight training will help prevent or slow this process down. That's why it's always a big deal when a client wants to lose weight. Weight is pretty easy to lose, but if you want to keep it off you have to be losing the right kind with the right methods. Now losing skeleton mass and organ weight would be a rough sell, but I'm sure you'll lose a bit of mass their too, although I'm not entirely sure how you'd measure that without a DEXA scan. Losing fat mass is a bit more complicated though than simply dieting it off. Can it be done? You can surely lose fat on the right type of nutrition program; however, it is in a persons best interest to exercise in order to teach the body how to utilize calories and store calories for the right type of activities. Not to mention help keep muscle tissue while you're losing fat. You're basically teaching your body how to burn off calories and build muscle mass when you're exercising hard and resistance training. Your body will hold onto those tissues so that you can use those muscles for picking up heavy things and moving from one place to another. Without exercise the body just wants to get rid of everything that's wasting space and energy. Muscle mass consumes a lot of energy. Even at rest muscle mass is consuming more energy than fat. So if the body isn't active and using that tissue it's going to get rid of it if the calories aren't there to support it. The Body: "This muscle mass is just too (calorie) expensive to maintain. I'm going to get rid of it and get some spare change from it." The Muscles: "Okay, we're just sitting around here doing nothing anyway. See ya later." The Fat: "Yep, we just sit around here all day too, but we might as well hang out and watch the show. It's getting good!" Now, if a person is actively exercising and lifting there chance of holding onto muscle mass is a lot greater, they'll be burning off more overall calories throughout the day which will in turn help out their overall amount of fat loss. The trick is being able to eat a bit less than you burn. This is how all diets work. They might claim that you get better at burning fat, have less storage potential, etc., and those factoids are true, but in the end it's really how many overall calories did you burn off. Even if you're body is only burning fat for fuel as in a ketogenic diet, your body fat will not change if you're overconsuming on fat calories. If you add in more energy into the system you will store it as fat, regardless of what it is, carbs, fat, protein, and alcohol. All that being said all diets will feasibly work if you're following them to the letter and they are putting you in a caloric deficit. You'll first lose some weight dramatically in the beginning, which for a large part will be water followed by some fat and muscle tissue depending on the diet. And then it will stop once you reach a certain point. So what changes to make the diet stop working? Well, you do in a sense. Number one, most diets aren't sustainable over the long haul. They're either too restrictive on the types of foods that you can eat, certain food groups, or simply stuff that you don't want to eat forever. That's the problem. They're not setup for what you normally would like to eat, therefore it's short term fix for a long term problem. You go off the diet and start eating normally again and the weight flies back on almost magically. Sometimes the rebound from the diet is even worse than where a person starts off initially, simply because they weren't exercising and the loss in muscle mass has decreased the metabolism to a dead standstill. This is how people yo-yo on from one diet to the other while getting heavier and heavier in the process and never really fix the underlying problem. The Solution to all this dieting nonsense is simple. DON'T DIET! Sounds simple right. But how do you end up losing the fat and getting the body you want. Eat a descent amount of lean protein everyday by incorporating protein into every meal. Shoot for about 1g per 1 pound of bodyweight. I guarantee this will help you lose weight and pack on some lean muscle just by itself. Eat four to five servings of non-starchy vegetables everyday. Vegetables are awesome sources of nutrients that have very little overall calories, making them nutrient dense, not calorie dense. We can consume a lot of vegetables without really overdoing it on our daily calories helping us stay full, satisfied and also increasing our fiber and micronutrient profile. Choose healthier fat sources like avacado, nuts, seeds and olive oil and avoid high fat foods that are deep fried or overly fatty meats when you're trying to lose weight. Weigh your food and keep a food journal. If you're weighing your food and know how big a portion size is for a 6oz steak then you'll know when you're overdoing it. Many people eat way more than they think, because they don't now how big a portion size really is for them. Then with your food journal calculate how many overall calories you're intaking on a weekly basis. If you're not losing weight, you're eating too much or exercising to little. Control your hunger. Regardless of how many meals you eat, you never want to be hungry when trying to lose weight. You basically want to fill up your tank with enough good food to keep you powered up throughout your day. Hence the veggies and protein with a little fat. When in doubt reach for these choices first when you're trying to lose weight. Don't jump to carbs right off the bat. They're convenient and quick to reach, but they won't keep you full and you'll be hungry an hour later. Choose foods that are going to keep you feeling full and give you more return on your investment. Stop drinking your calories. If you're starting your day off with a mochachino frappachino latte supreme, then just shoot yourself in the foot now. Many of these drink have way, way too many calories for you to try and come back from in your daily nutrition. And plus you don't really kill any hungry cravings with this. Try some coffee, tea, water or non-caloric sweetened drinks while trying to lose weight. They're just not worth the extra calories. 7. Learn to cook! Eating out is a horrible way to burn through all your calories for the week. One night out can be deterimental to a weight loss diet, simply because you don't know what's going into your meal. You can always order a healthier version, but if you're serious about losing weight than eating out all the time isn't going to be a great solution for you. There are many ways around this, but in general keep eating out to a dull roar while trying to lose weight. 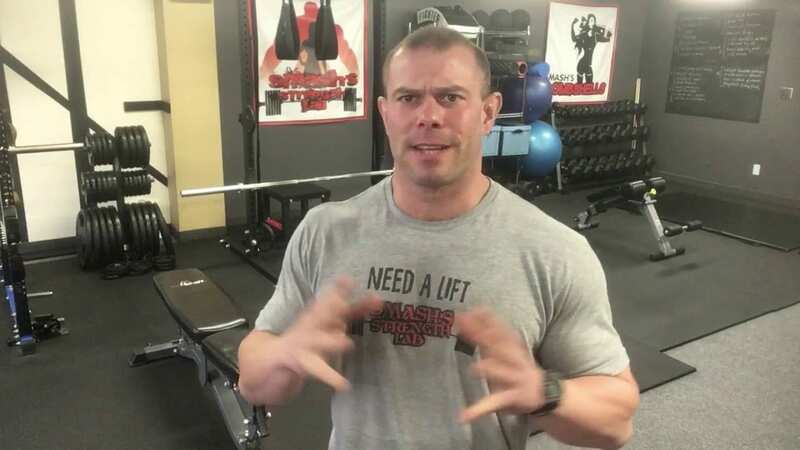 We could go on and on about more principles that will help keep you losing fat and getting to the ideal body comp forever, but those are a few of my favorites. Sign up for my Newsletter today and you'll get a full e-Book with some great principles that will help you set your nutrition plan up for success so that you can burn fat, build muscle and lose fat forever. Just click the link to sign up. Sign up for my Newsletter today and you'll get a free e-Book with the 10 Principles of Fat Loss that will help set your nutrition program up for success so you can burn fat, build muscle and look great forever on your terms, just click the link SMASH's Newsletter.